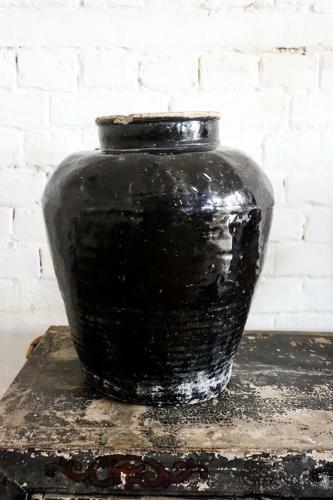 Black Chinese pots dating to the mid 20th century. Great decorative items. Slightly different sizes.